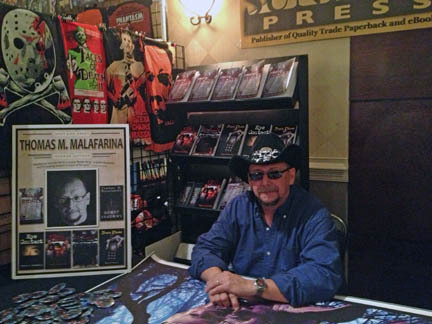 Thomas Malafarina gave away dozens of his books including Fallen Stones, Ghost Shadows, 13 Nasty Endings, 99 Souls, Eye Contact and Gallery of Horror. Tom was very pleased to meet some fans who were familiar with his work. 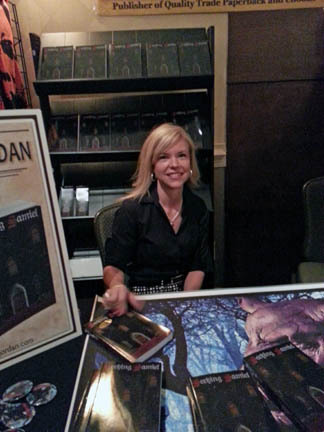 Catherine Jordan promoted her debut novel Seeking Samiel to her female target audience. Dozens of copies of her book found enthusiastic readers as well of piles of bookmarks. Keith Rommel promoted his novel The Cursed Man, now in the works as a major motion picture. The booth also displayed a large poster, postcards and buttons regarding the movie. Keith was careful to give his signed copies to readers who promised to talk about his book and/or write a review. Lots of patrons picked up buttons and cards, too. 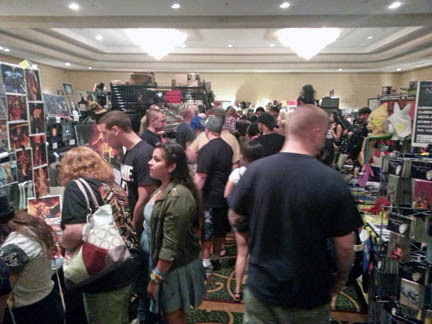 Keith was also fortunate to meet representatives from Fangoria magazine, who promised to follow up with a book review and coverage of the movie, as it is being released. 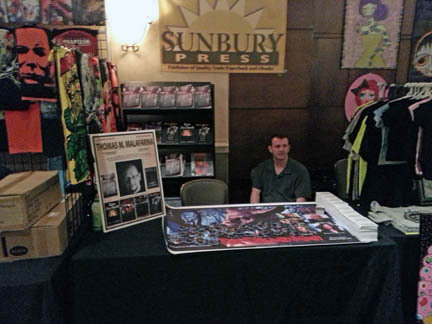 In all, it was a very successful weekend for Sunbury Press and the authors, who got to meet their target audience in person — by the hundreds. 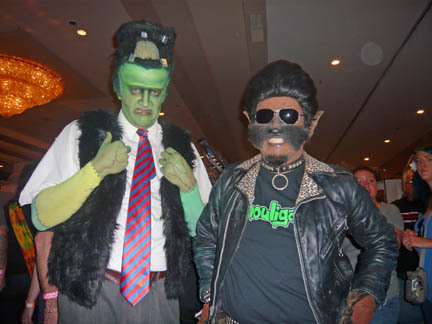 Two gentlemen who dropped by to discuss their taste in literature.